01 April 1942: Keel laid as BDE 49 by the Philadelphia Navy Yard, Philadelphia, Pa.
09 January 1947: Sold for scrapping to the National Metal and Steel Corp., Terminal Island, Los Angeles, Cal. 72k John Lincoln Doneff born 12 February 1920 in Newark, Ohio. 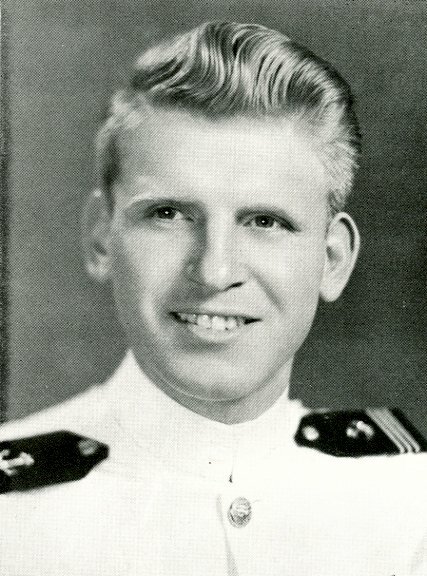 He graduated from the Naval Academy and was commissioned ensign 19 June 1942. Ensign Doneff was killed in action when his ship, USS Pensacola (CA 24) was damaged during the Battle of Tassafaronga in the Solomon Islands on 30 November 1942. 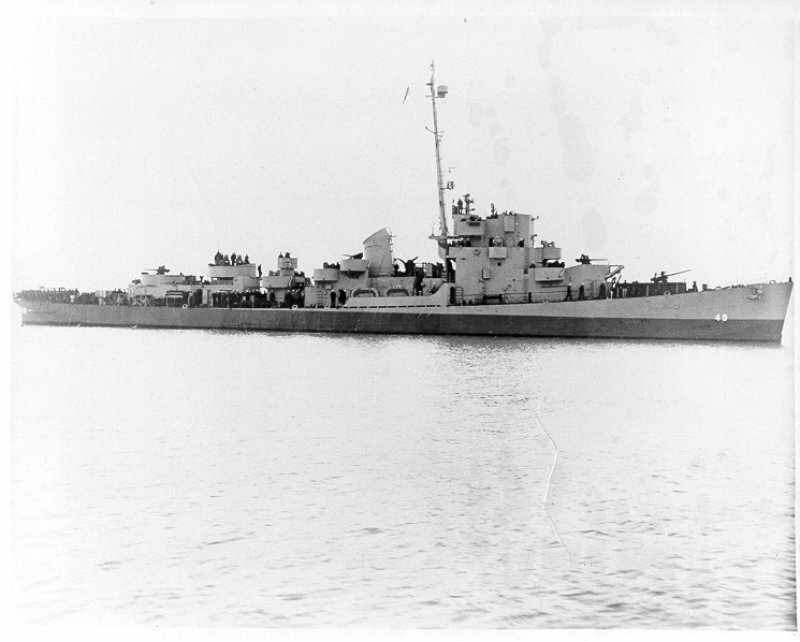 USS Doneff (DE 49) (1943-1945) was the first ship to be named in his honor. 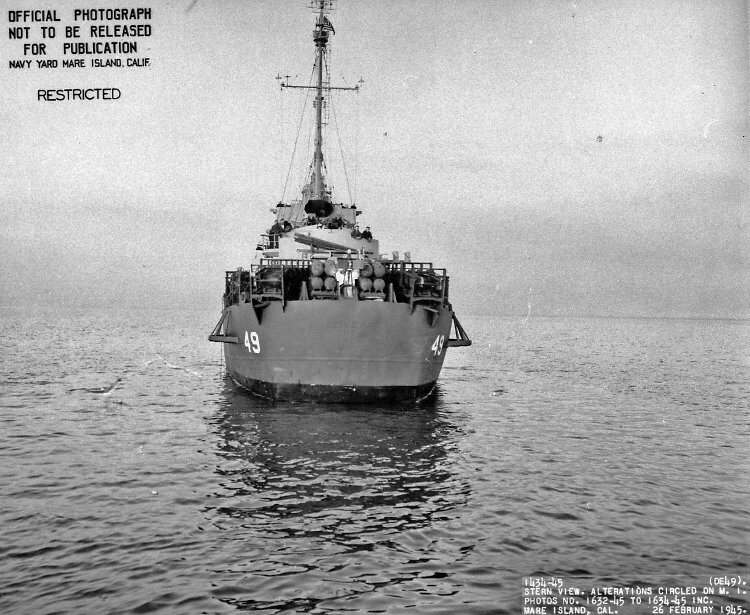 96k 26 February 1945: Bow on view of Doneff off Mare Island. 123k 26 February 1945: Broadside view. She was in overhaul at the yard from 19 January until 3 March 1945. 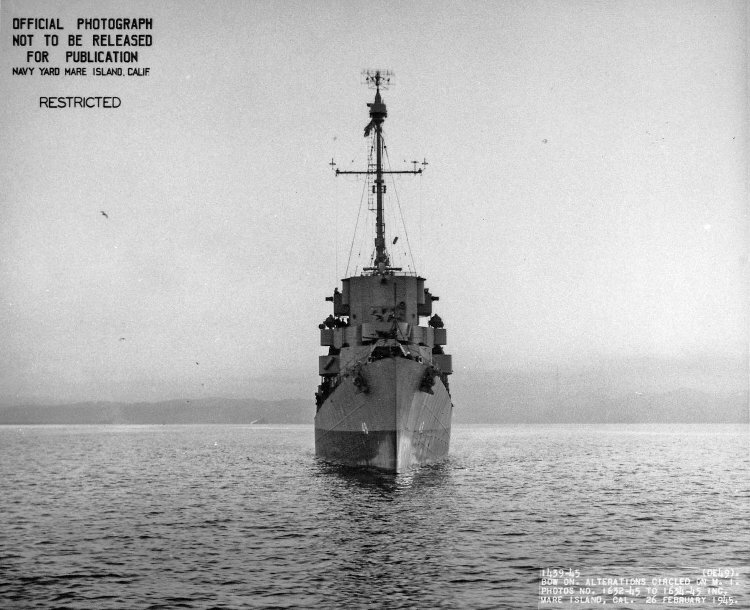 127k 26 February 1945: Stern view of Doneff departing Mare Island. 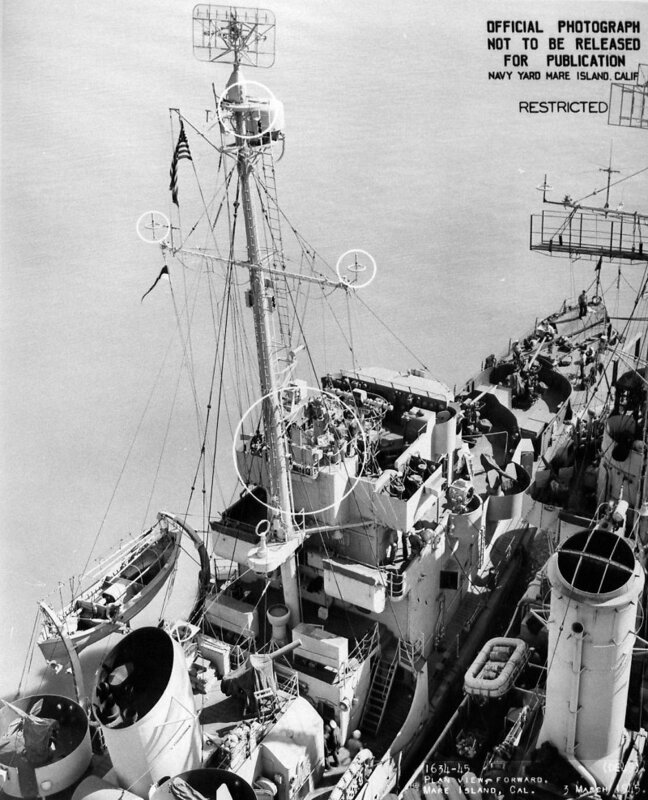 179k 03 March 1945: Amidships looking aft view of Doneff at Mare Island. 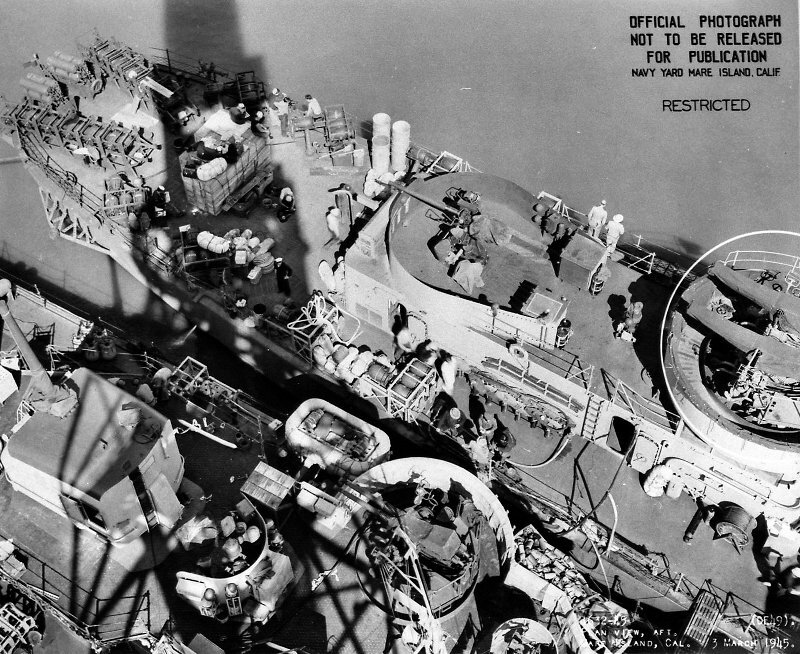 Note new quad 40mm gun mount in circled area. 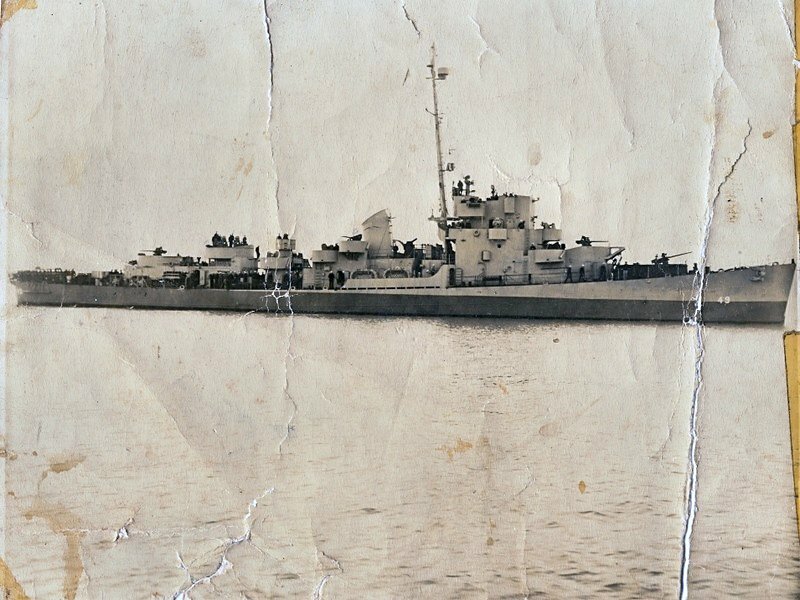 USS Shubrick (DD 639) is inboard. 210k 03 March 1945: Amidships looking forward view of Doneff. 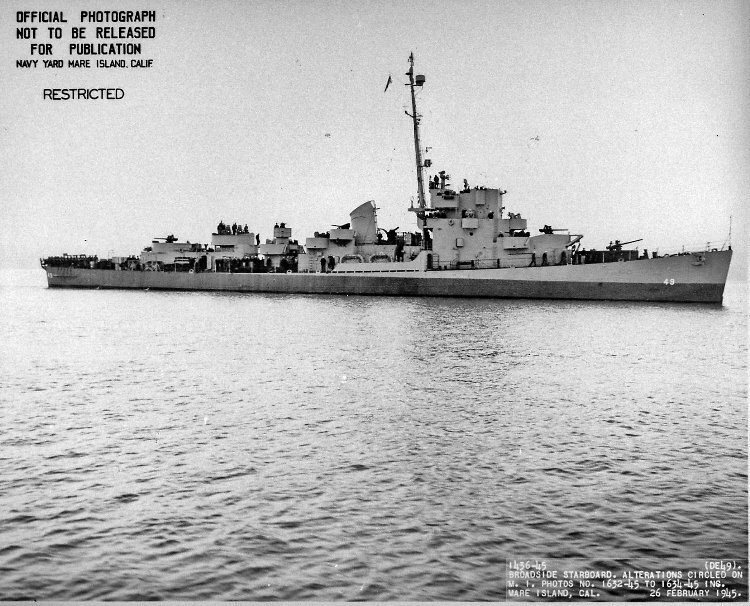 USS Shubrick (DD 639) is inboard. 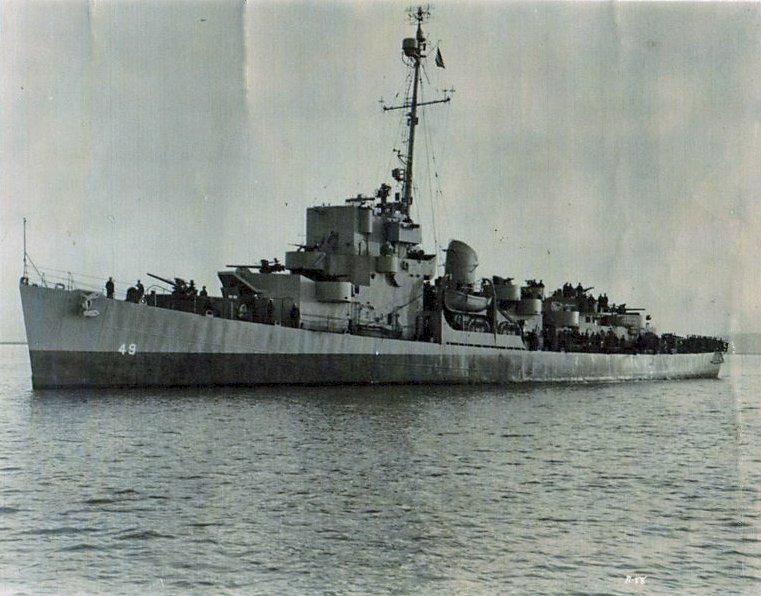 View the USS Doneff (DE 49) DANFS history entry located on the Naval History and Heritage Command web site.